Over the last couple of weeks, I have been focusing a lot more time on setting up Pinterest accounts for my websites. Besides this site (The Money Sprout), I also run a health and fitness blog and my oldest son and I run another blog together about one of his hobbies. Despite not earning any significant income yet, these 3 websites are part of our side income strategy. At some point, the goal is to have all 3 generate income for our family. But in order to increase income, I first need to focus on building traffic to these 3 sites. One method for doing just that is by using Pinterest to drive traffic to your site. There are a ton of success stories out there from fellow bloggers if you look about how Pinterest has helped their sites. So that is why I have been spending a lot of time with this social media tool. As I go through the process of setting up these accounts, I will detail what has worked and what has not. 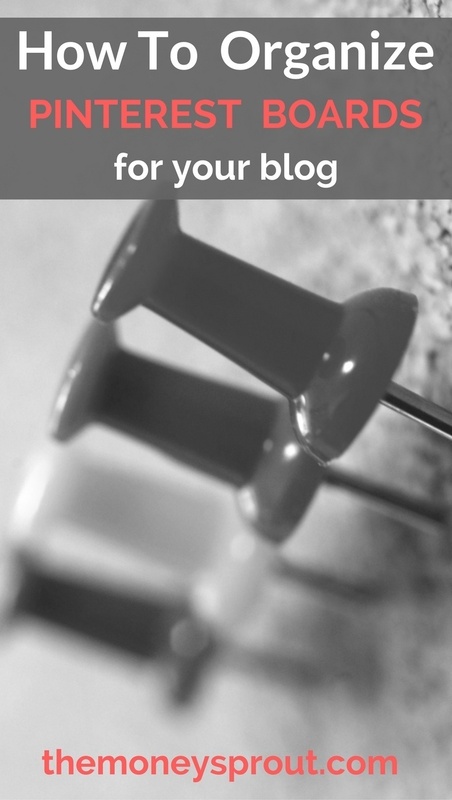 Think of it as a test case … for integrating Pinterest with your blog. Today I would like to cover one of the first steps I took with The Money Sprout account – setting up unique boards. This article already assumes that you have setup a Pinterest Business account, applied for Rich Pins, etc. Feel free to check out The Money Sprout Pinterest account if you are curious what I have been working on. One of the first steps I took after setting up my business account, was to create Pinterest Boards that related to categories on The Money Sprout. The actual boards I created do not link back 1 to 1 with my blogging categories, but they are close. Basically, I wanted my boards setup to show the topics I cover on my blog. Here is a list of the boards I initially setup. Remember that each board represents a topic I try and talk about here on this site. Eventually, I expect the number of boards to increase once I figure out how to better organize pins. Dividend Stocks – My favorite discussion point here on the The Money Sprout. I also want to see what other bloggers are talking about when it comes to investing in dividend stocks. Social Media Marketing – Social Media is something that has recently sparked my interest – at least when it comes to business. I have even considered starting up a side hustle focusing on helping small businesses use Pinterest to drive customers. I am using my 3 blogs as test cases to see how it works. Side Hustles – Nothing explains what The Money Sprout is about, more than building side hustles. Saving money is great. But there are only so many places you can cut from your budget. So in order to build your net worth and reach financial independence … you need to HUSTLE! Passive Income – A bit of an offshoot from the Side Hustle board, I am interested in building side income streams that are “passive”. I don’t believe there is any type of income that is 100% passive. However, anytime you can put your money to work and spend very little time doing so … it is huge! Financial Independence – This is basically the end goal for our family. Financial independence is the reason why we are trying to save money, build side hustles, earn dividend income, etc. I want to be inspired by others who are financially independent and learn from them. Rental Income – All of our investments are currently in dividend stocks. That is where we are comfortable putting our money to work earning us more income. Eventually we would like to add rental income to our side hustles. I want to have a place where we can learn from others who own rental properties – which is what this board represents. How to Blog – As I mentioned earlier, building blogs is also part of our side income strategy. I want to stay current on the latest trends in blogging and what is working well for other successful bloggers … like maybe the topic of – Using Pinterest to drive traffic? Net Worth – We started tracking our net worth almost 2 years ago. I feel it is important to track your net worth, in order to see both sides of your personal finances – saving vs. income. Reading up on others net worth progress is motivation for our family to keep working at growing ours. Save Money – I prefer to create more income, rather than save every last penny. There are certain things like healthy food, that we believe are important to spend more money on. However, we also believe in a minimalist lifestyle (see below) … so saving money is part of that. Minimalist Living – We believe that Minimalist Living is a must if you are trying to reach financial independence. That doesn’t mean you need to live out of your car or anything like that. Just that having a minimalist mindset is important when it comes to living well below your means. The Money Sprout – Following the success of other bloggers, the final board I created was a “Best of” board for me to post content found here. This will be the board where I post content from The Money Sprout that I want others to find. All the other boards mentioned above will be used to post content from other bloggers. 20 Characters – Pinterest recommends limiting board titles to 20 characters or less. If they are longer, they can get cutoff depending on the device you are using to view them. I tried to keep all of the boards for the Money Sprout to 20 characters. However … I wasn’t able to with the “Financial Independence” and “Social Media Marketing” boards. I am going to see how these boards do overall before trying to make the titles smaller. Custom Board Covers – One tip I picked up from a few other bloggers is to create customized pins for each of your board covers (see picture below). I have created a unique pin for each of my boards. I think they make my profile look more professional … although I will wait and see if they help any. If you want to find out more about creating custom board covers for your account, then please check out our Pinterest blogging page. Keyword Descriptions – I am actually still working through all of my boards, but I want to add very detailed descriptions to each. I want to add SEO friendly words for each board, so that users can find them based on what they are looking for. Just like with my sites, I don’t want to sound spammy … but still need to make it possible for people to find my profile and boards. 80/20 Pin Rule – For now, I am trying to follow (or stay under) the 80/20 rule. That means 80% of the pins I save under my profile are from sites other than The Money Sprout. I have read that Pinterest likes accounts of those who help promote others content … so that is what am doing. Vertical Images – All of the pins that I create for The Money Sprout will have a 2:3 ratio. In other words, they are long and skinny. This includes my unique board covers listed above. Here is what a few of the board covers look like under my profile when I first started using Pinterest. 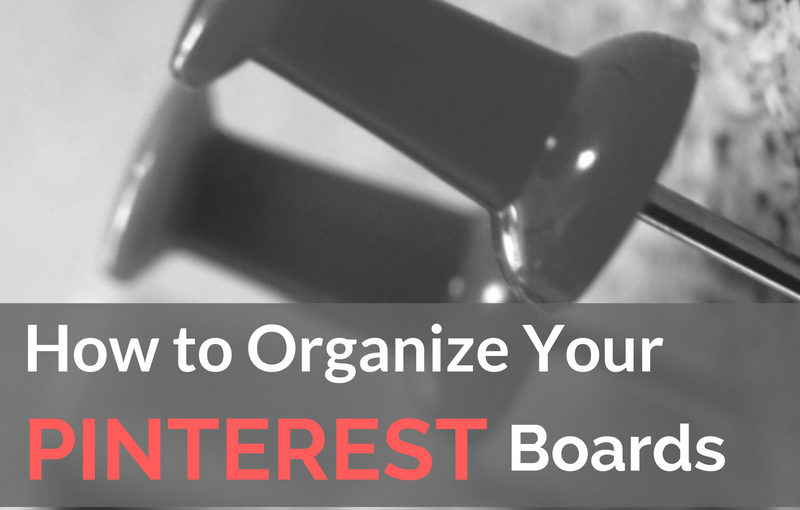 I have been studying up a bunch on how to integrate Pinterest with a blog or business website. One recommendation that I have found, is to setup several boards (I setup 11 boards to start) when you open your account. These boards should let anyone know who visits your Pinterest profile what your blog is about. I set the boards for The Money Sprout up to point back to categories and other important topics I cover here on the site. That way, anyone looking at my profile will know what kind of site this is. Have you setup a your Pinterest business account? How did you setup your boards?